Most people won’t notice the new Hurricane Haze 3D when it’s in a room, because its silent running fan draws little attention. 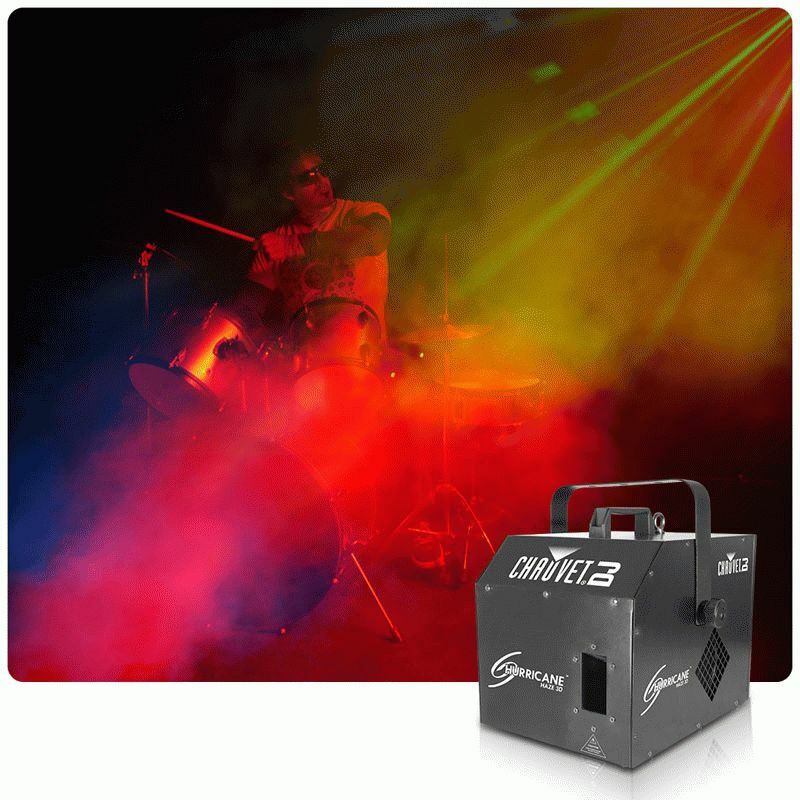 Yet the 5,577 cubic feet of haze per minute output of this strong, ultra-quiet hazer creates a big impact on dance floors and stages, in clubs, at video shoots or anyplace else. Aside from creating a powerful impression in its own right, the transparent haze produced by this machine is much more effective than traditional opaque fog at enhancing lighting effects. Another standout feature of the Hurricane Haze 3D is that it’s DMX controllable, which makes it simple to time bursts of haze at precise points during a lightshow. The unit’s large .7-gallon tank ensures that DJs and other end users can count on there being an ample supply of haze for even long shows. Also, unlike its predecessor the Hurricane Haze 2D, the new product works with all CHAUVET DJ haze fluids, including the premium PHF, which produces even more copious amounts of haze. The water-based fluids used with the Hurricane Haze 3D leave no residue. Weighing just 23 pounds (10.5 kg), the roadworthy Hurricane Haze 3D is ideal for mobile applications. A wired timer remote complete with a storage compartment enhances the flexibility and user-friendliness of this advanced hazer.